I have been asked to be a tour guide for some visitors from Australia in September. That will be a new experience for me and I thought, what better way to prepare for this than by putting together a post here on things to see and do in Vancouver. There are a lot of them. 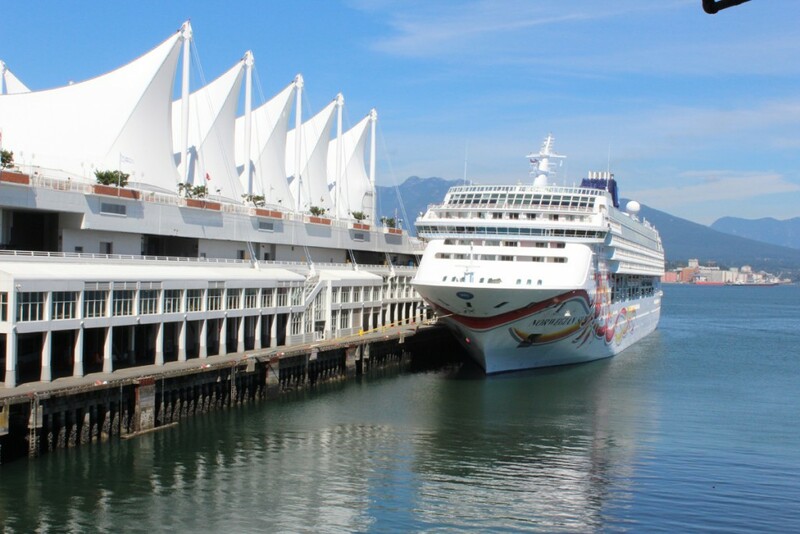 Vancouver is a cosmopolitan city, Canada’s western port and a hub for visitors and trade. The city itself has many attractions, but the greater Vancouver region has many more so I will cover the highlights of a trip to Vancouver. Vancouver covers a vast area, but the hub is the downtown. So we’ll begin there. If you’re staying at a downtown hotel, there are many things to see and do within walking distance. My wife and I have a timeshare downtown and occasionally enjoy a staycation downtown. Invariably we leave the car at the hotel and go on foot. After the map is a list of some downtown attractions as we take a walking tour starting in Gastown. 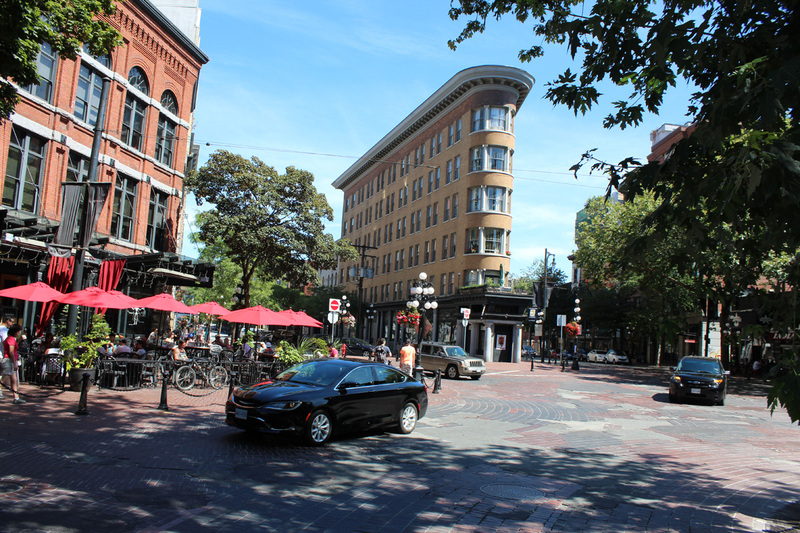 Gastown – this is an older part of Vancouver that consists of refurbished old buildings that have been turned into shops and restaurants, mostly geared to the tourist trade. 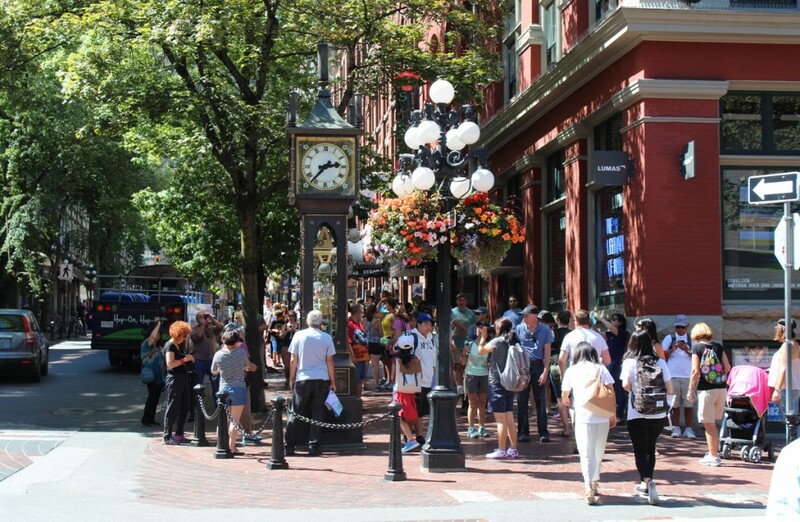 The streets are cobbled and with the period streetlights and the famous Gastown steam clock, it has a certain charm. Chinatown – Vancouver’s Chinatown is the largest in Canada and covers a large residential and business area. For tourists, the business district with its colorful signs and markets is the place to visit. Food markets abound with the occasional herbal medicine shop and other businesses thrown into the mix. And of course, there are several Chinese restaurants. The food markets are distinguished by food on display in stalls in front of the shops much like a farmer’s market. 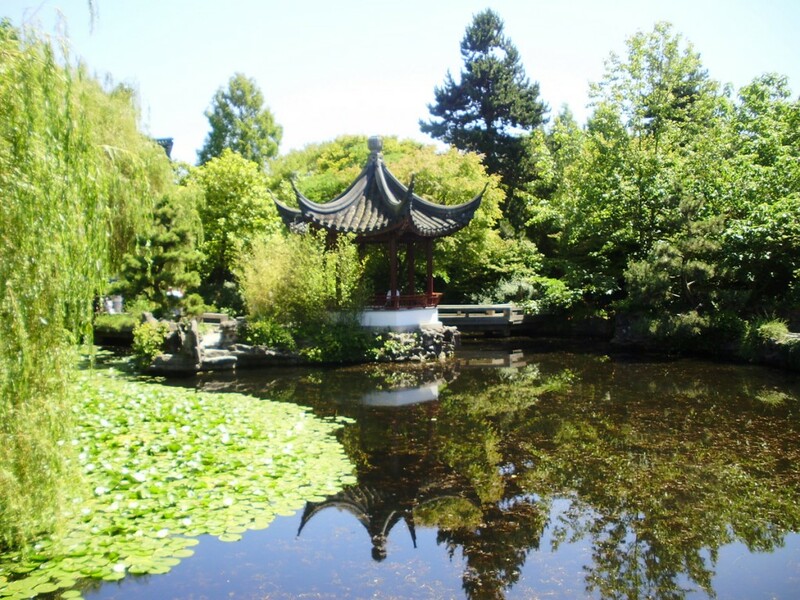 The must-see place to visit though is the beautiful Sun Yat-Sen Gardens, a classical Chinese garden with ponds and flowering trees and shrubs, as well as some building and sculptures. Fish and turtles inhabit the ponds. Wikipedia notes that the “classical Chinese gardens employ philosophical principles of Feng shui and Taoism, striving to achieve harmony and a balance of opposites”. Part of the garden is free to the public and part of it requires a modest admission fee. 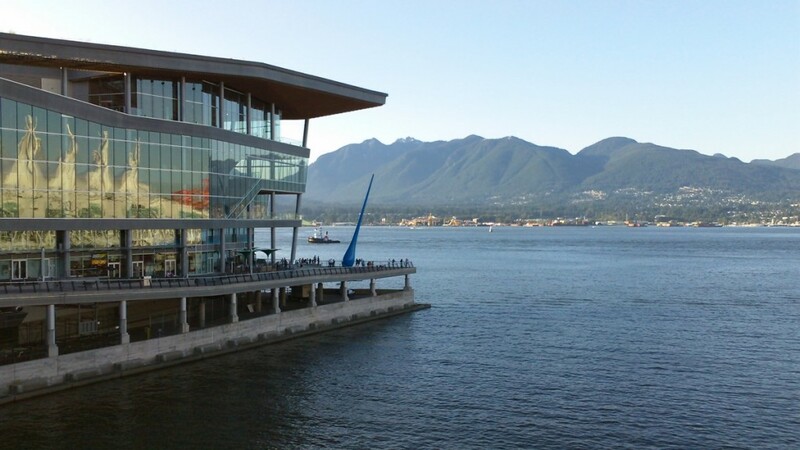 Trade and Convention Centres – On the Coal Harbour waterfront are two trade and convention centres. The older one was built for the Expo 86 World’s Fair and is marked by a distinctive design – massive tent canopies shaped like sails. It is known by its Expo 86 name – Canada Place. This centre also serves as a cruise ship terminal and it is not uncommon to see a cruise ship or two in port in the summer. The centre is adjacent to the Pan Pacific Hotel where you’ll find luxury accommodations and fine dining. But the whole area is chock full of hotels and restaurants. One of the attractions housed at Canada Place is the FlyOver Canada. It is similar to the FlyOver America exhibit at Disney World at Orlando, Florida. It is a flight simulation ride that has you soar over Canada, feet dangling in space. The giant dome screen takes you coast to coast and has some effects like smells, sounds and even mist as you fly over Niagara Falls. The other trade and convention centre is the new one built to accommodate an ever growing convention trade. It is noted for its green architecture – a plant covered roof among other things. Both centres are active year around with various events, many open to the public though usually with a fee. The new trade and convention centre with Canada Place reflected in its windows. Coal Harbour Walk – From the trade and convention centres you can walk along a seawall that takes you past various marinas, restaurants, hotels and gardens as you make your way to Stanley Park. You can watch sea planes land and take-off and enjoy a leisurely meal at one of the many restaurants, most of which have outdoor patios. Stanley Park – Stanley Park is one of the world’s greatest parks. It covers 1001 acres and includes vast tracts of wilderness as well as modern amenities. All of it is criss-crossed by nature trails and you could easily spend a day just exploring the park. The park is circumnavigated by the Seawall, a nine kilometre walkway that serves both pedestrians and cyclists. I’ll do a separate post on the park some time but here are a few highlights. 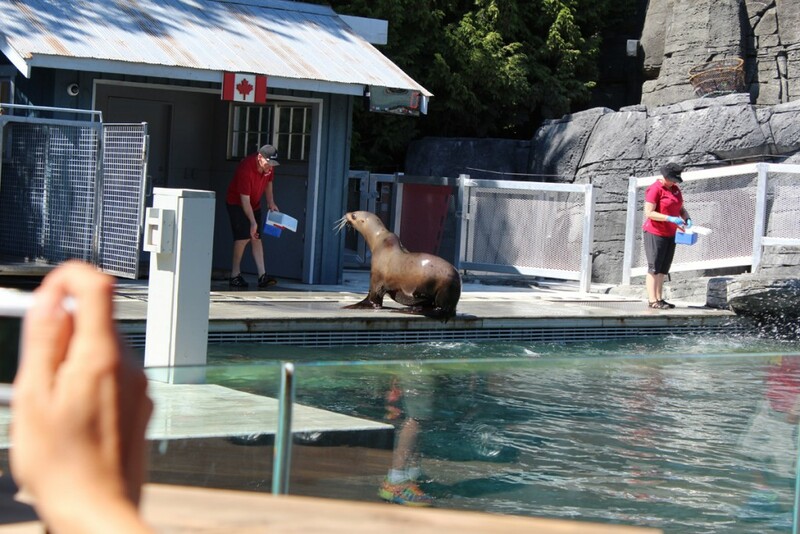 Vancouver Aquarium – a world class aquarium, it was known for its beluga whale exhibits until recently. Both of its captive belugas died recently and the Vancouver Parks Board banned further importation of these creatures. My wife, son, granddaughter and I visited recently and it has managed to re-invent itself with new shows and attractions. There are dolphin shows and sea lion shows several times a day, and the sea otters remain a popular attraction. And the aquariums are large and cover a wide variety of marine life with notable jellyfish displays. An Amazon jungle exhibit is also featured. Beaver Lake – located in the northwest of the park smack dab in the middle of a forest. Walking along the trails here is very peaceful and relaxing. Prospect Point – overlooks the Lions Gate Bridge and also has a restaurant. Siwash Rock – a large pinnacle of stone covered in vegetation off the shore from the park. The Tea House – a nice restaurant near Third Beach where they know how to make a proper cup of tea. Malkin Bowl – near the aquarium, Malkin Bowl is an open air theatre that has summer runs of musicals. It is known as the Theatre Under the Stars. There are many more attractions in Stanley Park, of course, but that covers some of the highlights. First Beach – After circumnavigating the park, we arrive at First Beach. It is surrounded by gently sloping lawns and has many large trees. First Beach is the locale for the annual Celebration of Light – a four day fireworks extravaganza featuring competitors from several countries. First Beach is also home to the Inukshuk and is adjacent to the corner of Denman and Davie streets – a vibrant restaurant and shopping district. Davie Street has long been known as a gay enclave within the city. Granville Island – Granville Island used to be an industrial district but was revitalized as a mecca for visitors with many specialty shops, restaurants and the Granville Island public market. 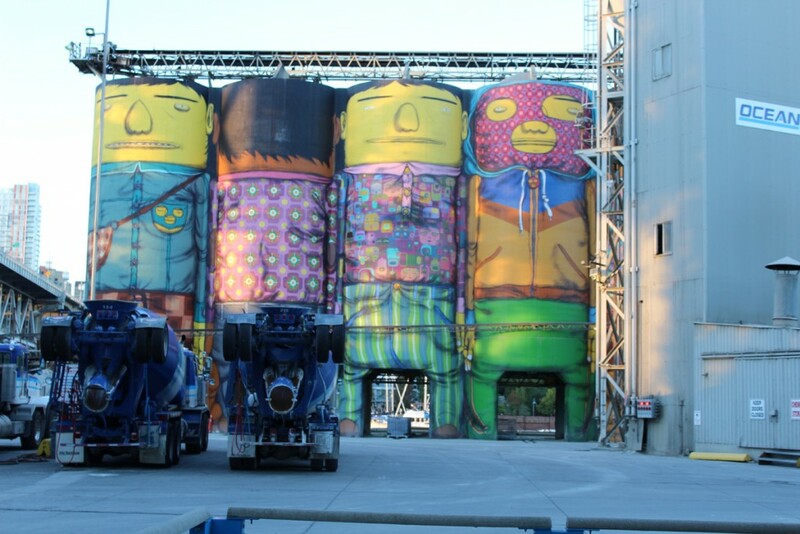 It is still home to some industry, most notably Ocean Cement, but even its massive concrete funnels have been turned into an attraction after being painted as giant men in overalls. The island is home to Emily Carr University, a visual arts centre. It is also home to the Arts Club theatre where you can catch live theatre and to the Theatre Sports League where you can watch improv comedy. The plaza by the public market is home to wide variety of buskers – singers, musicians, acrobats and jugglers. Granville Island is across False Creek from downtown Vancouver and can be reached by walking across the Burrard Bridge or catching one of several small passenger ferries that traverse the creek. Yaletown – Yaletown can be reached from Granville Island by one of the False Creek ferries. Here you’ll find many shops and restaurants. Vancouver Public Library – known for its distinctive architecture, this is a great venue for the book lover and just to walk around and visit the shops and restaurants in the area. Our tour has taken us around the downtown area starting at Gastown and ending at the library nearby. That covers downtown Vancouver more or less. 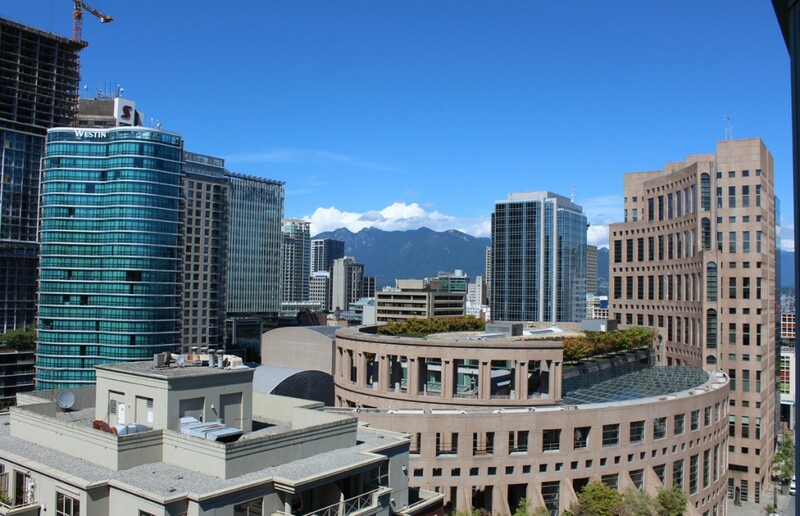 There are other attractions including downtown shopping, Robson Street, the courthouse, and the art gallery, as well as a variety of movie theatres. There are many things to see and do in Vancouver outside the downtown. These include the University of British Columbia and various parks and beaches. Here is a short list. Van Dusen Gardens – a beautiful botanical garden well worth a visit. We often visit around Christmas when the garden is festooned with lights that flicker in time to music. Simply amazing, and even more spectacular when there is snow. 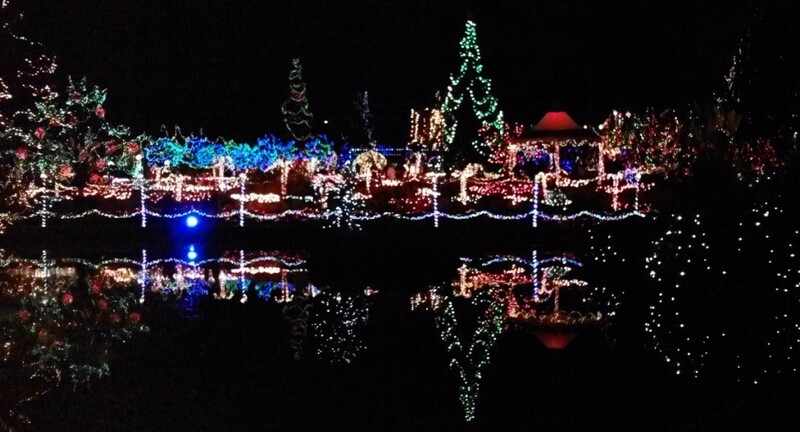 The light show at Van Dusen Gardens around Christmas is fabulous. Queen Elizabeth Park – set in an old rock quarry, Queen Elizabeth Park can be compared to the fabulous Butchart Gardens on Vancouver Island, but on a smaller scale. It’s set on a hillside so you get a great panorama view of downtown from here. Q.E. Park is also home to a botanical conservatory, a geodesic dome structure and hot house home to many tropical plants. Museum of Anthropology – located at the University of British Columbia, this world-renowned museum is known for its extensive collection of native British Columbian art and artifacts. Various Beaches – while downtown is surrounded by First, Second and Third Beaches, there are many more when you leave the downtown area. On the western end of the university endowment lands you’ll find Wreck Beach, a nudist beach if you’re inclined to get a full body tan. That’s it for Vancouver proper. I am sure I missed a few attractions and readers are invited to post additions in the comments section. In the next few days I’ll cover the neighbouring communities and their attractions, including the north shore communities of North and West Vancouver with their nature parks and ski hills as well as attractions from Mission to Squamish. Again, that will be an overview. I may post more detailed accounts of specific attractions at a later date.